Composite materials, which are essentially high strength engineering plastics, are being used more and more widely, especially in the construction of aircraft bodies. One of the world’s largest manufacturers of commercial jetliners and military aircraft combined has, for example, announced that as much as 50 percent of the primary structure – including the fuselage and wing – on a new passenger aircraft will be made of composite materials. 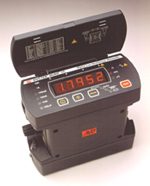 Megger DLRO10 Digital Low Resistance Ohmmeter – The MEGGER DUCTER DLRO-10 and DUCTER DLRO-10X bring new standards to low resistance measurement. Clearly there is a need for effective testing techniques for assemblies made from these novel materials. Since composite materials are inherently non-conductive, however, it is initially difficult to see what role electrical test methods can play in meeting this requirement. The key to the answer is that electrically conductivity is, for many reasons, an essential requirement in airframes. For example, conductive airframes play an important role in dissipating the energy from lightning strikes and in preventing the build up of static charges. They also provide essential electromagnetic shielding, and allow the correct operation of many types of circuit protective device. For these reasons, the composites used in airframe construction, at least for civil aircraft, invariably include a thin metal mesh specifically to provide electrical conductivity. During the construction of the airframe, great care is taken to ensure that the meshes in individual components are electrically bonded together, since faulty bonding would not only compromise the effectiveness of the shielding provided by the mesh, but could also lead to sparking, especially during electrical storms. Such sparking, especially if it occurred in the proximity of the aircraft’s fuel systems, could have serious consequences. It’s easy to see that a reliable method of testing the bonding and the overall integrity of the mesh is essential. For this purpose, low resistance testing, which is easy to carry out with moderately priced test equipment, has much to recommend it. The principle of low resistance testing is straightforward – a known current is injected into the item under test, and the voltage that results from this current flow is measured. Knowing the voltage and the current, the test set can easily calculate the resistance of the test object using Ohm’s law. In practice, for dependable low resistance testing, a few refinements are necessary. Most importantly, the resistance of the test leads and the test connections will often be comparable to, and even sometimes greater than the resistance of the item under test, so accurate results will be impossible to obtain unless due allowance is made. The best solution is to use a test set that supports four-terminal testing. With this arrangement, the current is applied through two test leads, and two entirely separate leads are used for the voltage measurement. This means that, provided the instrument measures both the current and voltage, the resistance of the test leads and connections has a negligible effect on results. The next issues that must be carefully considered are test current and power. Low currents of up to 10 A from a source that is power limited to around 0.25 W are good for revealing contaminated connections in electrical equipment. Similar currents from power source capable of supplying, say, 25 W are better for detecting weaknesses in bonding, but some types of test objects can be damaged by the higher power available. High current tests, which typically cover the range 10 A to 600 A, are most appropriate for measuring the current-carrying capacity of electrical equipment such as busbars and circuit breakers. Megger’s experience with its popular DLRO family of digital low-resistance ohmmeters has shown that test currents between 2 A and 10 A are the most suitable for evaluating the capability of the conductive mesh associated with composite materials to control static build up. Testing at these currents can also reveal the type of damage to the mesh that may result from material fatigue, especially if historical reference data or data from a similar airframe know to be in good condition is available for comparison. However, one major aircraft manufacturer determined that testing at 30 A is needed to test a large airframe’s lightning protection to provide stable, repeatable measurements in noisy hanger environments. Note that only a minority of currently available test sets, including some models in the DLRO family, are capable of working continuously with such high test currents, in combination with such high test lead resistance. Remember the instrument has to maintain the required test current through the resistance of the long test leads used as well as the resistance of the airframe being measured. Therefore for this application we need to keep the current loop resistance to a minimum. The current leads need to be of substantial cross section and to be available with a range of test clips to suit different connection requirements. They will also need to be available in lengths from short to, for large structures, very long. Though they have been used in small-scale applications for many years, the adoption of composite materials for large structures such as passenger jet airframes is a recent development. For this reason, the challenges of testing such structures are only now being fully addressed but, as we have seen, for airframes at least, low-resistance testing is a convenient, cost-effective and versatile option.